The DSPs for the job &dash; big or small. As open-architecture DSPs, ControlSpace engineered sound processors are designed for a wide variety of applications &dash; from small, self-contained projects to large, networked systems. They feature analog audio I/O &dash; mic and line-level &dash; and a Bose AmpLink output to send digital audio to AmpLink-equipped Bose amplifiers. Engineered for precise performance, each includes advanced signal processing with 48 kHz/24-bit audio conversion, low-latency, and ultra-low noise operation. 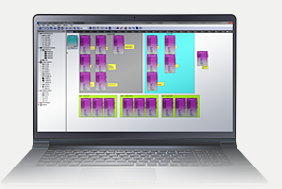 Adapt ControlSpace processors to your needs using ControlSpace Designer software and its large set of signal processing modules.